On Friday Congressman Carson (my representative) introduced the Jeremy Warriner Consumer Protection Act in the US House of Representatives! The bill if, and when, it is signed into law will require any automobile manufacturer that the Federal Government has an ownership interest in, or that has an outstanding loan from the Federal Government, to purchase liability insurance. The language of the bill is very clear and it does include any pending cases or future cases related to vehicles sold before the bankruptcies! I will be involved in a press conference tomorrow morning at 11:30am. Be sure to watch the news tomorrow. I don't know if there will be any national coverage, but I certainly hope so. Keep checking back here to see what needs to happen next. We will need everyone's support. My goal is to ensure that every US Congressman and US Senator receives letters and phone calls from their constituents in support of this bill! While I'm glad that Fiat bought Chrysler and that many jobs have been saved, the bankruptcy and sale of Chrysler has put an end to my lawsuit before it ever got to court. Which means that I can finally speak out. This week the Supreme Court allowed the Chrysler bankruptcy plan and sale to Fiat to go through as written. The plan incudes liability protection for the new Chrysler from injuries caused by any defective vehicle sold before the bankruptcy. Not just current product liability cases, like mine, but any future liability cases resulting from these vehicles as well. Think about this, that's every Chrysler vehicle currently on the road today! GM is about to get the same deal. Deals that we have financed with our tax dollars. Sure, an accident report will get filed, but no one will have any reason to spend the money on finding out if there was a defect. The number of injuries caused by these defects will rise. My injuries have led me to unemployment, Social Security Disability, and probably Medicare in addition to other government funded assistance programs. A vehicle with a defective part, or parts, can and will cause serious disabiling inuries and death. These types of injuries effect everyone around the person with the injury as well. Our President (whom I support) has said that Health Care Reform is a priority (which I agree with) and has said that Medicare and Medicaid are bankrupting the government. Yet, his Automotive Task Force and the Treasury Department built this liability protection into the Chrysler bankruptcy plan and sale to Fiat. This liability protection will lead to more people who rely on Medicare, which will increase the financial strain. I can't imagine that that's the kind of Health Care Reform our President had in mind! Health Care Reform will be costly, yet we are also financing the Chrysler and GM bankruptcies with our tax dollars. In the process we are increasing dependence on government funded programs like Medicare and Social Security, which leaves less tax money that could be allocated to Health Care Reform, which we will need faster because of the increase of injuries! Wouldn't the money be better spent in a manner that protects the people who have provided that money? Yes, this kind of thing happens in a normal bankruptcy, but because these bankruptcies have been financed with our tax dollars, this bankruptcy is far from normal. 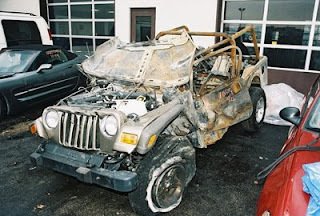 Our tax dollars have been used to give Chrysler this liability protection, which blocks our 7th Amendment Right to hold them accountable in a civil trial! That's what makes these bankruptcies different. That's why this bankruptcy is not consistent with conventional bankruptcy practices, which the Treasury Department somehow seemed to miss, because they claimed that it was! Our Supreme Court had the opportunity to stop the Chrysler bankruptcy plan from going through with the product liability protection. They even placed a stay on the bankruptcy and sale this past Monday, but they lifted the stay the very next day and allowed the plan to go through. According to the Court the appeal applicants must show that at least four of the nine Justices find that the issue raised is serious enough to warrant hearing a full appeal. The court did not consider the merits of the arguements, only whether to hear the full appeal. How can any Judge not see the seriousness of this issue? With 40 million potentially defective vehicles on the road every American is at risk, regardless of position, which includes themselves and their own loved ones! This issue also sets a precedent that the government can use tax money to help businesses in a manner that infringes on our rights! I would think that all nine of the Justices would have felt those issues serious enough to hear the full appeal! These issues effect all of us including Chrysler employees, GM employees, Republicans, Democrats, and government officials. First they came after our money, and now they're using it to come after our rights. Congress and the Obama Administration must work together to fix this. First, GM must not be allowed to have the product liability protection that Chrysler snuck through on their plan. If the Chrysler decision can somehow be changed (which I doubt) then it should be altered so that the new Chrysler has successor liability. If the new Chrysler and GM are allowed to keep this protection then Congress will need to take action, afterall the United States Government will own a percentage of each of these companies. 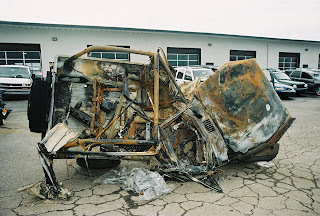 Congress should set up a relief fund for victims with current law suits and both new companies should be required to purchase retro active insurance policies to account for any future claims caused by the vehicles sold before the bankruptcies. If you are willing to write more letters or make more phone calls, now would be the time to do it. Suggest that your Congressmen and Senators gather support for these solutions, or work together to find a better solution. Above all, they cannot allow this issue to be brushed aside without a solution. If you know anyone who works in the media share these issues with them. The media is one of the best ways to draw the attention of our government.